All Yankee Hill homes currently listed for sale in Yankee Hill as of 04/25/2019 are shown below. You can change the search criteria at any time by pressing the 'Change Search' button below. If you have any questions or you would like more information about any Yankee Hill homes for sale or other Yankee Hill real estate, please contact us and one of our knowledgeable Yankee Hill REALTORS® would be pleased to assist you. "Come and see this beautifully built and immaculately maintained custom home on nearly five acres in the historic Concow community. 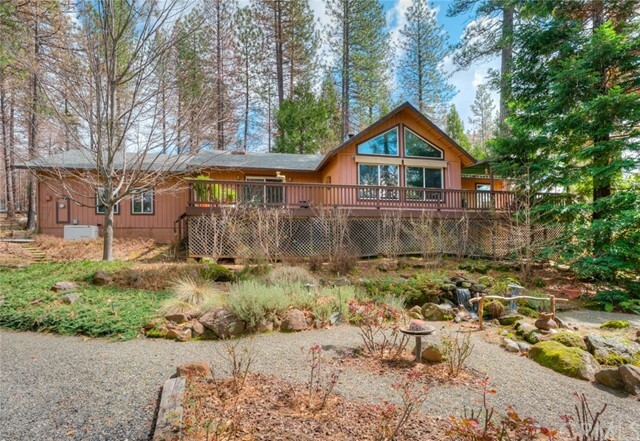 The home has survived the Camp fire unscathed and is now ready for a new owner. The current owners' pride shows throughout the house and property with extensive landscaping, custom cabinetry, and multiple decks to enjoy the natural beauty that surrounds. This home was well designed by the owners and their love of the property shows in every aspect of the house and th"